It's not uncommon for a terminally ill loved one to become unusually restless or even agitated, but it is often distressing for family and friends to witness. The depth of such restlessness or agitation varies from patient to patient; in some cases, it can progress to a state known as "terminal restlessness," or "terminal delirium." Here's how to recognize the symptoms and learn how help a loved one who is experiencing them. Delirium is a complex psychiatric syndrome, also sometimes referred to as "organic brain syndrome," "confusion," "encephalopathy" or "impaired mental status." You may recognize it by noticing a sudden change in your loved one's alertness and behavior. This change can sometimes fluctuate over the course of a day, and it usually gets worse at night. Abnormal activity. Body movements may increase or decrease, and may be very fast or slow. If treatment is delayed or proves very difficult, delirium may progress to terminal restlessness. Terminal restlessness is a particularly distressing form of delirium that sometimes occurs in dying patients. It is characterized by anguish (spiritual, emotional, or physical), restlessness, anxiety, agitation, and cognitive failure. Terminal restlessness is so distressing because it has a direct negative impact on the dying process. We all want death to be a comfortable and peaceful experience, but if a patient is dying with terminal restlessness, his or her death can be anything but. When a person suffers from a terminal illness, they can become irritable, sullen, frustrated, and angry. These kinds of mood shifts can be intense, and, when the nearing the end, profound mood changes can occur. This can be particularly difficult for caregivers and loved ones to deal with, causing fear and a feeling of helplessness. Terminal restlessness has the potential to be confused with "nearing death awareness," which is described as a dying person's instinctual knowledge that death is near. It's important for loved ones of dying patients, as well as healthcare professionals, to understand the phenomenon of nearing death awareness so they can be equipped to support a dying patient's unique needs. There are many different causes of delirium and terminal restlessness. Some causes are easily reversed, while others are not. Medications: opioids, anti-seizure drugs, steroids, and anxiolytics are just a few of the medications that can cause delirium. Overuse of medications can cause toxicity and under-use can cause pain and discomfort, which can further worsen delirium. What Should One Do About Terminal Restlessness? If the cause is easily identified, delirium is usually easily treated. However, at the end of life, it may prove difficult to identify one cause, therefore making the treatment of delirium and terminal restlessness challenging. 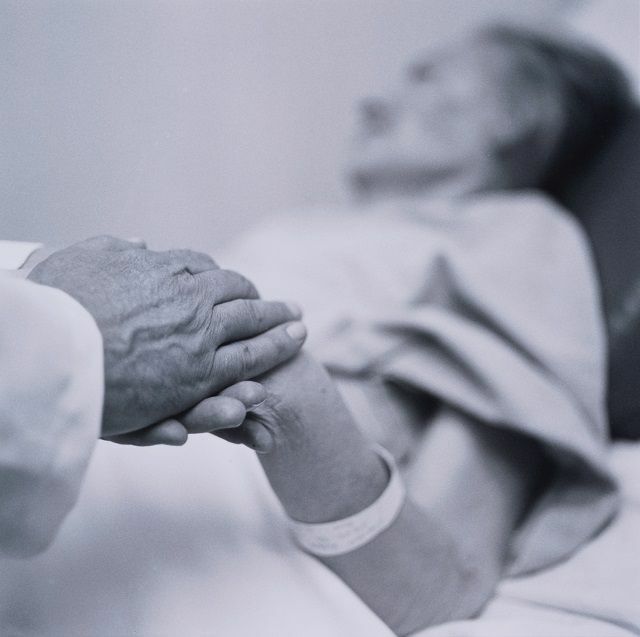 It's important to keep in mind that properly identifying the cause of delirium and treating it effectively may take several days, but with the support of the hospice team, close friends, and other family members, it is likely that your loved one will settle down and feel less distressed. Delirium isn't the same in everyone, and it can mimic other illnesses and syndromes, making recognizing and treating it difficult. If you notice that your loved one is acting out of sorts, has new memory loss, or is experiencing changes in his sleeping pattern, contact your healthcare provider for further assessment. Kinzbrunner, BM; Weinreb, NJ; Policzer, JS; 20 Common Problems: End of Life Care, McGraw-Hill Publishing, 2002. Ferrell, BR and Coyle, N; Textbook of Palliative Nursing, Oxford University Press, 2006. Hospice Patients Alliance. Terminal Agitation.